Enjoy your reading and connect with other readers. CityLibraries offers reading programs and services for everyone in the community. Discover more here and in What's On. Subscribe to Learn Discover Connect eNews here. Join a book club at your library. Meet other readers and discover new authors. CityLibraries hosts a variety of groups and events and can provide assistance to external groups. For more information visit our Book clubs page. This annual program is an opportunity for members of our community to read the same book during May Month of Learning. Read more about the books we have shared and find out which book to read this year. Discover Townsville's popular reads and reserve your copy. For more information visit our Great Reads page. Ask us for some great reading recommendations, or check out our collection of online recommendation sites. For more information visit our What will I read next? page. Discover Townsville authors through their stories. Meet and work with the well-regarded authors who visit Townsville to host author talks and writing programs. For more information visit our Local and Visiting Authors page..
Reading is the most important thing you can do with your child. Ignite a passion for reading at Let's Read in the Park. 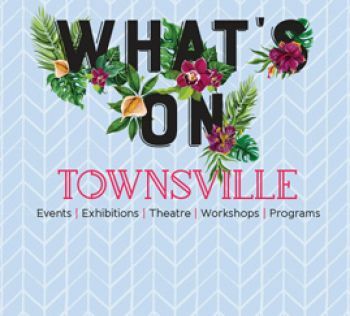 Check back here or What's On Townsville for event updates.